"Our story all takes place as if you had a slightly wider shot, you could see our characters. Or if you just waited around five minutes after this Star Wars storyline, our characters would pass through, which was really really fun to do." 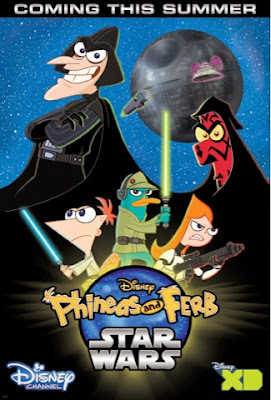 Phineas and Ferb: Star Wars, will be unveiled for the first time at DHS Star Wars Weekends today!